Morocco - A country known for its beautiful riads, delicious tagine and desert camel rides. Who knew that after a 17-day trip around the country, some of our favourite photos ended up being the uncountable street cats that roam the streets of every city? Wandering street cats are one of the most abundant sights in Morocco. 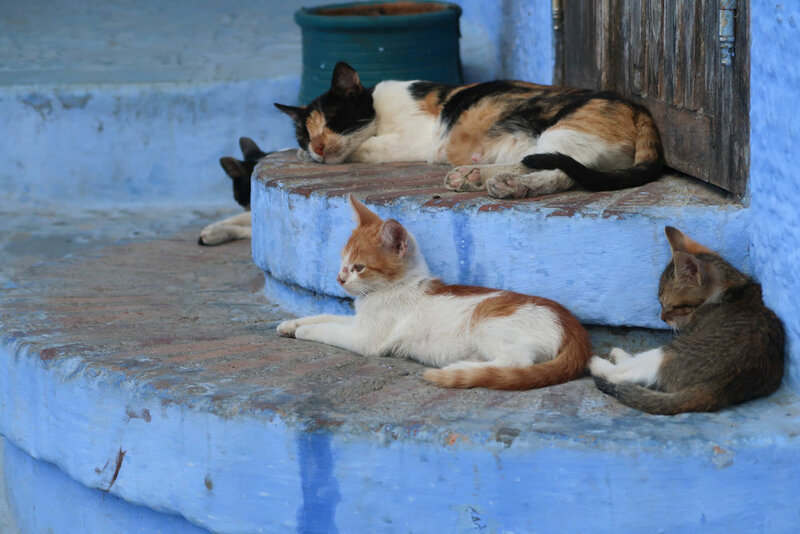 There are estimated to be as many street cats in Morocco as there are people. Cats have long been an inherent part of Moroccan culture and everyday life, living harmoniously with the people of the country. Although majority of the cats are strays, bowls of water and food scraps are often seen left out by the locals to show good faith. As for out of town travellers, you’ll quickly recognize that there is no way you can have a peaceful meal outdoor without being circled by numerous street cats demanding a bite of your food. Of course, its not always a happy scene when we come across these feisty felines. The abundance of stray cats and no population control means some of them will have to rough through illness, food scarcity and injuries. These are often heartbreaking to see, but paints a realistic picture of their daily lives in Morocco. 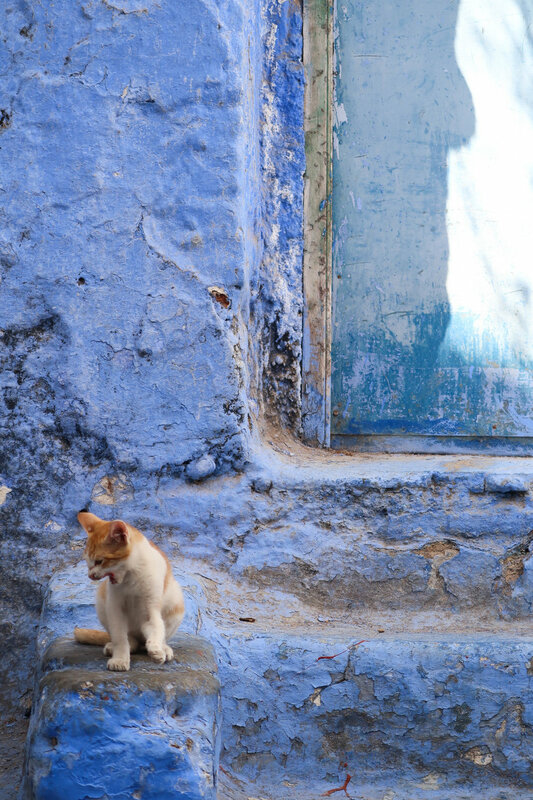 Street cat in the sacred town of Moulay Idriss in Morocco. Kitten looking out into the harbour at Essaouira, Morocco.